Homemade (sugar free!) Grape Soda ~ it has nothing at all in common with the bottled stuff, it's pure fruit, no added sugar, and bursting with grape flavor! Wash the grapes and put them in a heavy bottomed pot, along with the water and lemon juice. Bring the pot to a simmer and continue simmering for about 2o minutes until the grapes have begun to soften. Smash the grapes with the back of a large spoon as they cook. Transfer the mixture to a food processor and process until completely blended. Let the machine run long enough to get all the grapes completely pureed. Pass the puree through a mesh strainer, pushing lightly, to get the juice through. Discard any pulp, skin or seeds. 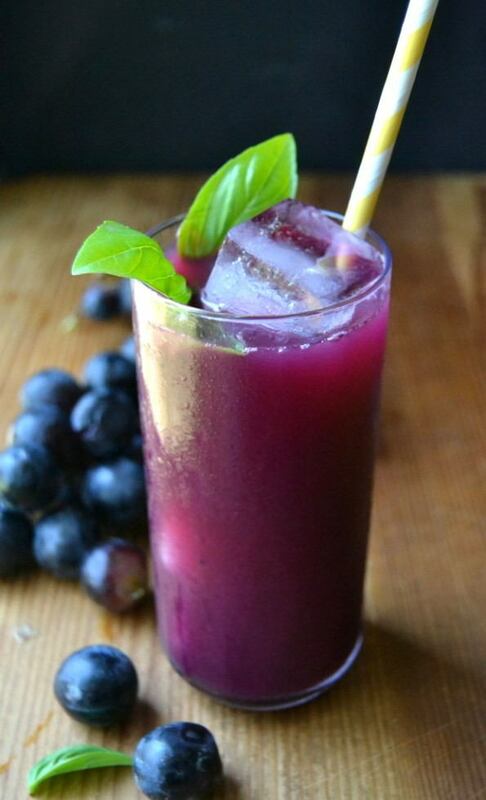 Refrigerate the grape syrup until cold.